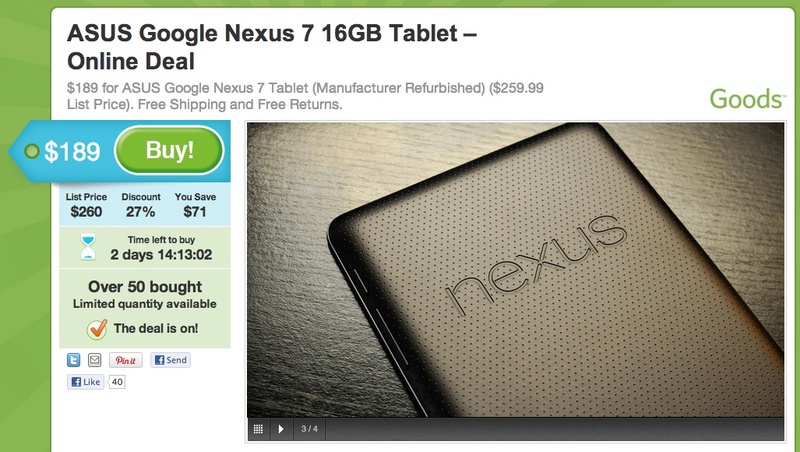 Care to save $10 on your Nexus 7 purchase? Groupon is currently running a deal for a “manufacturer refurbished” 16GB version of the popular Android tablet, though we’re still trying to figure out if the $10 you would save over a brand new one is worth it. Remember that you can pick this tablet up from Google for $199, and no, it hasn’t been refurbished. That $199 is for a brand spankin’ new N7. There are times that refurbished models of products aren’t a bad thing, though. In fact, some believe that they tend to be better, as the manufacturer has had time to fine-tune any issues in refurbished models that were once plaguing new builds.